Texans deserve to know whether their state’s attorney general is crooked. 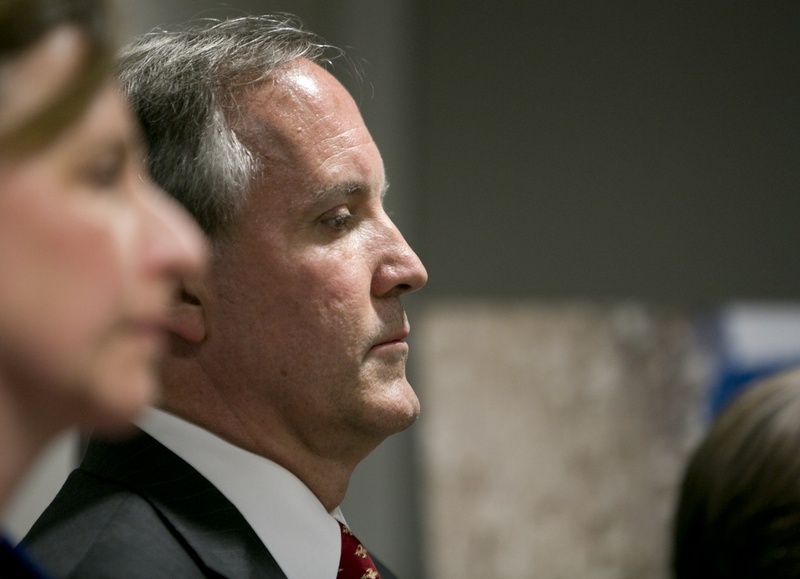 Many of them believe that Ken Paxton is innocent of the charges leveled against him. Many others do not. Meanwhile, Paxton’s pending trial on securities fraud is getting caught in a tangled web of legal wrangling that is threatening to delay justice well beyond what is reasonable. A state appeals court has ruled that District Judge George Gallagher surrendered his jurisdiction in the matter when he moved the trial from Collin County to Harris County. State prosecutors are asking the Texas Court of Criminal Appeals to overturn the lower-court ruling. Meanwhile, the rest of the state — at least those of us who care about such matters — is waiting to hear whether the Republican attorney general is guilty of defrauding investors before he became the state’s top law enforcement official. The Dallas-based 5th Court of Appeals ordered Gallagher to vacate all rulings related to the Paxton case, including the one that set his trial for September. That means the trial likely will be delayed again. Meanwhile, the 2018 election is coming up. Paxton likely will want to run for re-election. Does he submit himself to voters once again while awaiting trial for securities fraud? Voters’ trust in government isn’t too high as it is. Foot-dragging and legal maneuvering such as this only worsens it. Rick Perry quite famously — at least was in Texas — declared that a Travis County grand jury indicted him only for political reasons. The former governor faced charges of abuse of power and coercion of a public official after a Travis County jury charged him with those two felonies. Perry would have none of it. He blamed it on Travis County Democrats who comprise the bulk of the voting population in the county where the state’s capital city of Austin is located. Hey, he had demanded that the district attorney, also a Democrat, resign after she got caught driving drunk. Rosemary Lehmberg didn’t quit. So Perry vetoed money appropriated for her office to run the Public Integrity Unit. So, Perry played the politics game while condemning the indictments that came down. What happened next might deserve a bit of scrutiny. The Texas Court of Criminal Appeals today dismissed the remaining indictment against Perry, the one accusing him of abuse of power. He acted within the law when he vetoed the money for the DA’s office, the court said. Did politics determine that decision? Well, I don’t know. The state’s highest criminal appellate court comprises all Republicans. The same party to which Perry belongs. Was the CCA decision to dismiss the indictment as politically motivated as the grand jury’s decision to indict the governor? Perry said so when the grand jury returned the indictment. He’s not going to say the same thing about his political brethren on the state’s top criminal court. Still, isn’t it a question worth pondering? Rick Perry is free at last! Free of the indictment that he said was politically motivated. Free of the cloud that threatened to rain buckets of trouble all over him. Free of the snickering from his foes. The Texas Court of Criminal Appeals, the state’s highest criminal appellate court, has dismissed the indictment that charged the former governor with abuse of power. A lower court had tossed out another indictment that charged Perry with coercion of a public official. This is one of the decisions that one can respect while disagreeing with the findings. The system did its job. A Travis County grand jury indicted Perry on charges of abuse of power over his veto of money for the Public Integrity Unit run out of the Travis County district attorney’s office. The DA, Rosemary Lehmberg, had pleaded guilty to drunken driving and served some time in jail. Perry said she should resign and if she didn’t he would veto money for the Public Integrity Unit, which is charged with investigating wrongdoing among public officials. Lehmberg should have quit. But she didn’t. So Perry followed through on his threat and vetoed the money. I must add here that Lehmberg is a Democrat, while Perry is a Republican. 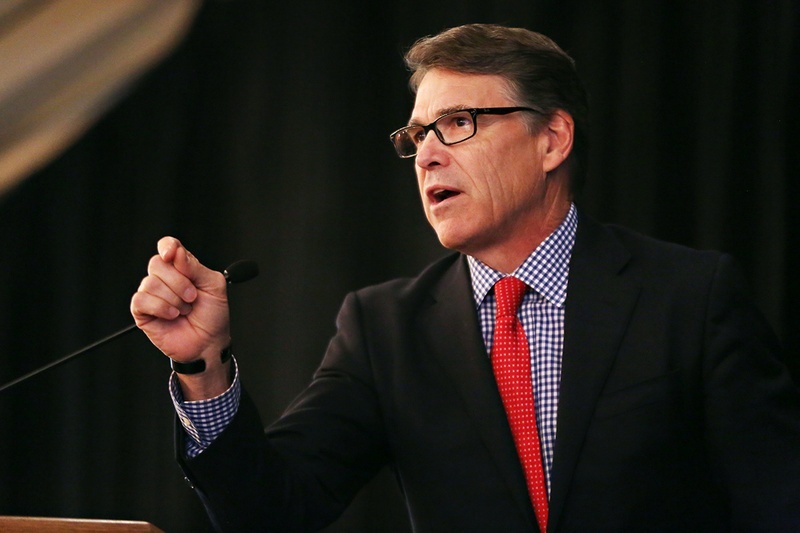 So, the grand jury indicted him — while Perry was finishing up his stint as governor and preparing to run for president of the United States. Perry accused the grand jury of playing politics. Travis County is a Democratic bastion; Perry, of course, is a Republican. I’ll point out, too, that the special prosecutor who presented the case to the grand jury also is a Republican. I actually thought the lesser of the charges — the coercion part — had more staying power. Silly me. I didn’t expect a lower court to toss that one first. I never liked the idea of a governor telling an elected county official to quit. That wasn’t his call to make, given that the district attorney is answerable only to the people who elected her. Gov. Perry tried to bully Lehmberg into doing his bidding and that — to my way of thinking — is fundamentally wrong. As for the veto itself, the governor could have — should have — simply vetoed the money appropriated for the integrity unit without the fanfare he attached to it. That’s not the Perry modus operandi, however. He sought to make a show of it, which also is wrong — but not illegal, according to the Court of Criminal Appeals. As for the politics of this case … if the governor alleged that the grand jury indictment was motivated by politics because Travis County comprises mostly Democrats, is it fair to wonder whether the top appellate court dismissal occurred because all its members are Republicans? Hey, I’m just thinking out loud. So, the case is over. Now we can all turn our attention to the Greatest Show on Earth, which would be the Republican Party presidential primary campaign. Let’s bring out the clowns! Prosecutors have defined more sharply the allegations of abuse of power leveled against former Texas Gov. Rick Perry. So, let’s get this trial underway in short order, OK? The state has redefined the charges, bringing them into sharper focus. They result from an Aug. 15, 2014 Travis County grand jury indictment charging the then-governor with two felonies: abuse of power and coercion of a public official. As the Texas Tribune reports, the charges stem from his public threat to veto money appropriated for the Public Integrity Unit run by Travis County District Attorney Rosemary Lehmberg, who pleaded guilty to drunken driving. Perry wanted Lehmberg to quit. She didn’t, so he made good on his threat, vetoing the $7.5 million appropriated by the Legislature for the PIU. It’s the interference in the affairs of an “independent, local official” that rubs so many of us the wrong way. The governor does have the authority to veto money the Legislature appropriates. Gov. 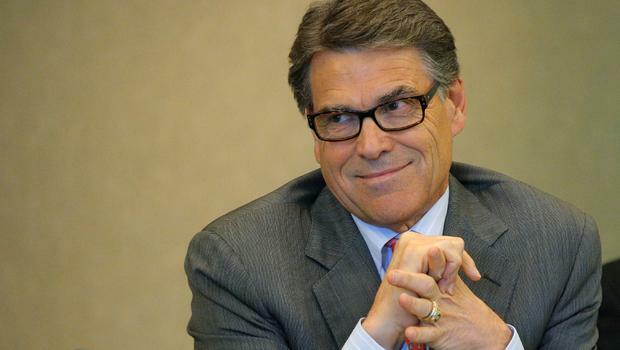 Perry would have been on firmer footing had he kept his trap shut prior to vetoing the money. He didn’t. Instead, he made a big public splash about Lehmberg’s conduct — which surely was abominable. Perry became entangled in the DA’s office improperly. He had no legal standing to force her to do anything. All the governor had to do was veto the money without making such a huge public issue of Lehmberg’s DUI arrest. Judge Bert Richardson, who now sits on the Texas Court of Criminal Appeals, had declined a defense motion to dismiss the indictments. The trial should go forward, he said. So it will. Let’s get this thing done. After all, the former governor has a presidential campaign to launch — provided, of course, he isn’t convicted of the crimes for which he’s been charged. The Texas Court of Criminal Appeals long has been considered a lost cause for those seeking to appeal criminal sentences. The CCA has a long history of denying sentences handed down by trial court juries. It’s seen as a prosecution-friendly court. Why not elect someone with experience as a public defender? The Texas Tribune has put together an excellent analysis on the upcoming Republican primary for the state’s highest criminal appellate court. Seven GOP candidates are running for three seats on the court. One of the incumbents, Tom Womack, is leaving the court. His Place 4 seat has drawn three challengers. One of them is Jani Jo Wood, a public defender from Harris County. I’ve long thought the CCA, along with Texas Supreme Court — the state’s top civil appellate court — needed more diversity. The Supreme Court is loaded with pro-business lawyers and none from the plaintiff’s bar. The CCA is top-heavy with prosecutors. Why not add someone with a different perspective to lend at least a touch of balance to the court’s decision-making process? I believe that is the kind of message Jani Jo Wood is trying to convey. In a perfect world, we could elect judges with no particular axe to grind. How do we find that person? They come either from the defense bar or are prosecutors. Lawyers running for these courts have to walk a fine line and seek to sell themselves to voters as jurists who can examine every case on its merits without regard to any bias they might have for one side or the other. However, the Court of Criminal Appeals — with its long and sometimes contentious history of denying criminal defendants’ appeals — could use at least a little fresh perspective in its ranks.